An innocent client. A wife in jeopardy. A locked room mystery. Who will take The Plea? 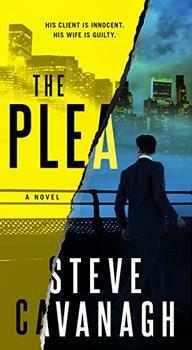 New York Times bestselling author Stephen White brings back his popular character, psychologist Alan Gregory, to take on the sociopathic killer from Whites first novelwho, many years later, has walked away from a mental hospital, hungry for revenge. Read-alikes are one of the many benefits of membership. To see the complete list of this book's read-alikes, you need to be a member.